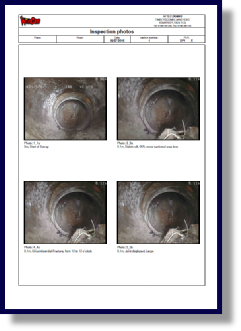 At Hi-Tec Drains our advanced CCTV technology is the most effective way to inspect drains and sewers, sending a camera right to the heart of the problem without messy excavation work. We have years of experience in CCTV surveys for any size of project from small domestic properties to large commercial sites, so you can feel confident in our recommendations for appropriate repairs and in the competitively priced quotations that are supplied alongside your report. 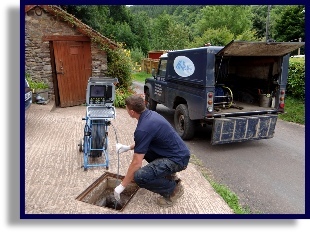 A CCTV survey allows our surveyors to view inside the drainage system to assess the condition of a drain, locate and identify any defects including blockages, silt build up, off set or misaligned drain joints, collapses and fractures to the pipe. Our team of dedicated repairs engineers can then provide fully informed, cost effective solutions to your problems following your CCTV survey. We aim to keep disruption to a minimum by using the most up to date equipment where possible, including TRENCHLESS ‘NO DIG’ TECHNOLOGY. To find out more about our repairs team please click here. Providing the manholes are accessible and you are happy for us to be on the property we do not need you to be home for us to complete the survey! 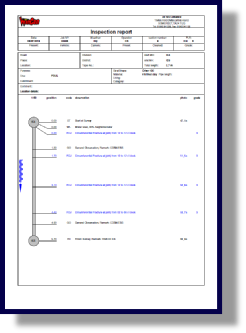 We also provide estimates and a second opinion service without the need for us to complete a CCTV survey. Please contact us for more information about these services and to confirm whether you would be eligible.